Rain On Me umbrellas marry fashion with function in a city where umbrellas are a requirement. Some things are synonymous with each other: peanut butter and jelly, Bill and Ted, Vancouver and rain. “Liquid sunshine” is simply a fact of life on the west coast. We are, after all, in a temperate rainforest. Waterproof boots, Gore-Tex, and a sturdy umbrella are de rigueur in Vancouver as a means of survival, but the super-sweet gals at rain on me umbrellas wanted their gear to be more than just functional. Quickly search Google for “umbrella etiquette Vancouver” and you’ll find page after page of blog posts. These articles are dedicated to the expected behaviour of the throngs of Vancouverites volleying for space on city sidewalks in the rainy season. As a tall gal myself, having received my fair share of umbrella pokes in the face, you can imagine my swoon when I spotted rain on me‘s #umbrellaetiquette brolly! rain on me was created with individuality in mind. In a city where most umbrellas are considered a disposable, grab-and-go accessory, their umbrellas make a statement while coming in strong on the quality game. Many Vancouverites will spend $100+ on durable rain boots but maybe just $10 or on something intended to keep them dry. rain on me umbrellas let your umbrella be a fashion piece that makes a statement – literally. The umbrellas come in two sizes: the big one and the not so big one. The newly-released line of smaller umbrellas is perfect for on-the-go gals with umbrellas that are small enough to fit in your purse, gym bag, or backpack! 2. Click the Instagram post above, follow @keiraannemorgan and @rainonmeumbrellas on Instagram, and then tag two friends that would also like to win. 3. Like the Keira-Anne.com and rain on me pages on Facebook. And yes – I’ll check! 4. Post a comment below telling me your favourite rainy day activity in Vancouver. You have until October 21, 2016 at 5:00 pm PST to enter! Can’t wait to find out if you’re a winner? 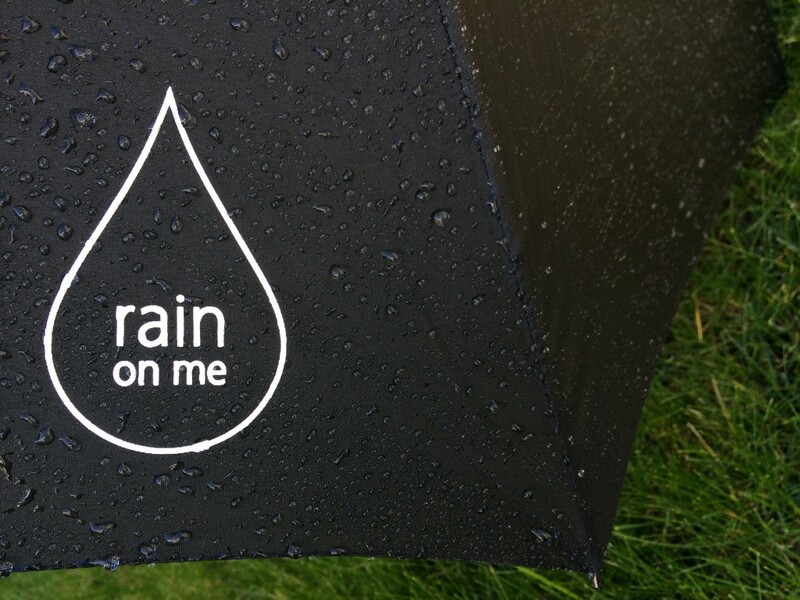 Browse rain on me‘s entire collection and place an order online. Visit their official website for all the details. Walking along the seawall with my sweetie! Never a bad idea! It’s one of my favourite things to do too. Warming up with a big hot bowl of ramen! Great idea! Where’s your favourite brunch spot in Vancouver? I love tucking into a cozy corner at a cafe with a tea latte and a good book. Yes! What are you currently reading, Dilara? Just ran into work this morning (sans umbrella) in the misting rain. Got soaked! So that’s my not so favourite activity! I’d love to represent rainonmeumbrellas in Ontario! Ick! SO not fun! Good luck on entering – it’d be great to have rain on me represented in Ontario! I like to enjoy the rain by sitting by the window with a cup of tea and a book. One of my favourite things to do on a day like today! Now that is just dreamy! Our dog gets walked twice daily regardless of rain, snow, sleet, etc… a good umbrella is a necessity! Ours too! Sometimes it’s really challenging to get out there – especially on days like this! So grateful to have a (very necessary) sturdy umbrella! I like staying inside and watching the rain fall. Then I enjoy the clouds moving across the sky. Me too! Watch anything great lately? My favourite rainy day activity (when I no prior obligations) is to go puddle jumping! I love sitting under my gazebo, listening to the rain hitting the roof, while cuddled under a warm blanket and hot tea! Curling up on my couch with my kitties! I like grabbing my rain boots and taking a quick walk around the neighbourhood. Either that, or sleeping. Sleeping with the rain pitter-pattering against the window is the best! Same! I love leaving the window wide open at night to sleep to the sound of falling rain. Decking out in the full rain gear the little one and I finally have and just getting outside, not being confined indoors by some precipitation!